When clients come to us for lead generation services, they often think they need one thing (“more sales leads!”) but typically they need something in addition – a better process for qualifying their existing sales leads, or a better way of working to maximize their long-range business leads. The B2B sales leads pipeline is a unique ecosystem all its own – you need to know how to manage your business leads, conduct the most efficient appointment setting, and put solid processes in place to get the most out of all of your leads. 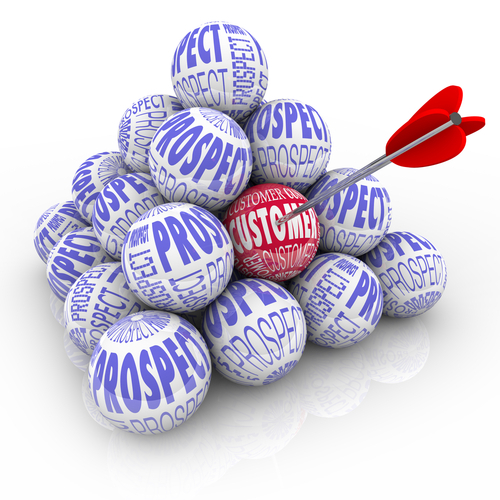 When developing your lead generation process, you need to take a holistic approach to your sales pipeline. It’s not just a simple matter of finding “more sales leads” to dump in the top of the sales funnel. Instead, you often need to reassess how you’re handling and managing sales leads at every step of the way. 1. You don’t have any new business appointments on your calendar. When you are closing deals and setting up new clients, it can often be difficult to also “fit in” new business prospecting. Due to the high level of rejection that occurs during cold calling many sales people have a love hate relationship with conducting prospecting calls – so when they’re busy and “business is good,” it’s easy to put prospecting on the back burner. Look back at your calendar and call records over the last 3-4 weeks and check to see how much time you have actually been spending (in the course of an average day and average week) on new business development. Chances are you need to adjust your time allocation. Even when you’re swamped with business, you have to keep feeding the pipeline with new lead generation activities. 2. You just lost a large client and you don’t have any new clients ready to replace them. 3. Proposals that were likely to close are stalling or dead. Lead generation should not only be about finding new sales leads, but doing a better job of converting the sales leads that are already in your pipeline. The crucial point to remember is that B2B sales leads are like sharks – they have to keep moving forward, or they die. Any business leads in your pipeline should be advancing toward closing the deal. If not, it’s important to reassess your opportunities and downgrade them as soon as they show signs of weakness. Qualifying leads is an ongoing process, but you need to relentlessly manage your pipeline so that your team of appointment setters isn’t wasting time on low-quality prospects. There might always be some sales leads that fall short of your projections, but if you suddenly find yourself with many once-promising sales opportunities falling into a “sales purgatory,” you need to shift your energies to replace those deals before you lose any existing clients. Part of your lead generation needs to be to assess, re-evaluate and re-focus on existing B2B sales leads. 4. The deals that you are closing are too small. There is nothing wrong with writing smaller deals especially if the account has long range potential. But the problem with smaller deals is that they take time to grow…time that you may not have. Too many small deals can clog up your pipeline and create havoc with your sales forecasts. And many sales people will tell you that the smaller accounts often require just as much time, care and energy as the larger accounts. It’s important to check your lead sources and do some research to understand why so many small deals are developing. Good lead generation companies will help you analyze the data and make recommendations on how to boost the average size of your deals, leading to more profitable accounts. 5. Your most reliable lead sources are stuck in low gear. A common problem we encounter is that many companies have great B2B sales leads in the pipeline, but not enough of them. This puts a lot of pressure on you to close a high percentage of sales leads off a short list of pipeline prospects. If pickings are slim in your favorite market, you might want to open your lead generation efforts to vertical markets that you haven’t touched in a while. Overworking a segment of business that has been producing sales for you may be actually creating “over marketing” and stagnating your pipeline development. Are you looking for lead generation companies to deliver fresh insights on your B2B lead generation process? Talk to Strategic Sales & Marketing, a “leading light” among lead generation companies. Our team of experienced appointment setters and consultants offer lead generation services to help our clients with B2B lead generation challenges, leading to more efficient appointment setting, better qualified B2B sales leads and bigger sales results. Contact Strategic Sales & Marketing for a free quick quote or a free, no obligation Test Drive of our lead generation services.